Fallout fans that would enjoy wearing a real-life Pipboy 3000 arm mounted computer just like in the games, are sure to enjoy this new build created by hacker, maker and developer over at the Sweatmans Scientific website. 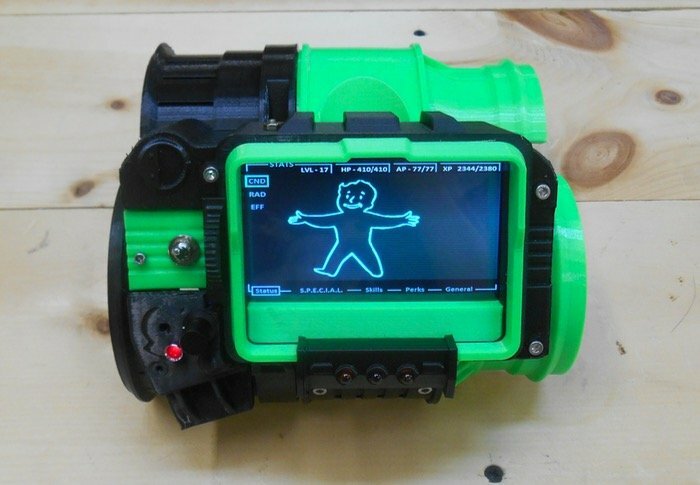 The latest Pipboy 3000 hacked design uses the 3D printer files created by dragonator and a 4D Systems 4.3 inch touch display together with a battery pack and USB breakout board. Check out the video below to learn more about the build from its hacker. “I’m not much of a gamer. In fact, I have never played any of the Fallout games. But when a friend asked if I could build this “Arm Mounted Computer”, I was intrigued. A quick Google search revealed that this was indeed a very popular device, and several people had already built them. This is the story of my attempt. For more information on the new Pipboy 3000 hack and learn how to build your own jump over to the Sweatmans Scientific website website for details via the link below.